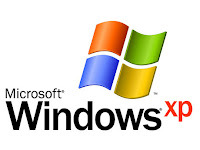 This small tip will be very helpful for those who frequently install windows xp operating system. Normally OS installation takes around 40 minutes to complete, but through this trick you can now save 10-15 minutes. Here is how you apply this simple trick. By doing this you are actually making your processor to perform at it’s best for the installation of windows xp! Thats it, no more work to do. Relax your self and see how fast the installation process completes. I am not sure if this trick will work with windows vista or windows 7 you can try and please let me know in comments how did it go.